Christie Brinkley, our favorite Uptown Girl, is single again now that her divorce from Peter Cook has been finalized, and she’s moving on. She’s a savvy real estate investor, with valuable properties worth around $80 million, most of them in the Hamptons. Newsday reports, “The crown jewel in Brinkley’s real estate holdings is Tower Hill, the 11-bedroom mansion on Brick Kiln Road.” Built in 1898, it’s on the market for $30 million. The home has 11 bedrooms, 9 bathrooms, and an ocean view. According to the listing, it was originally built in 1898 by local nobility Dr. John Gardiner but was “lovingly restored and renovated in 1998” with all the modern conveniences. The property is gorgeous, and there are 20 acres of it. According to People magazine, Brinkley is moving on to a new waterfront property with a private beach in North Haven that was listed for about $11 million. She really does have a relaxed style! Wish I was moving to a beach front prop! That dining room is just awesome – the pillows on the chairs look super comfy! Love the whole house…if only I had $30mil in spare change! Loved this post Julia! .-= christy´s last blog ..Dreamy home design =-. .-= duchess´s last blog ..1st Day of School =-. .-= Elaine´s last blog ..Pewter Bottle =-. WOW. I can’t even imagine living in a house so grand. But I love to look and perhaps find one or two tiny ideas that I can create in my own home. It’s a favorite thing of mine to do. I do it everywhere, all the time. Goodness I love your blog. .-= Suzann @ The Olive Cottage´s last blog ..I’m an Explorer =-. .-= Amanda @ Serenity Now´s last blog ..Price My Space: Natalie’s "Candy-Striped" Nursery =-. .-= rue´s last blog ..Did you think I forgot? =-. Hmmm… I want to like this house. There are elements I love. The plank floors are gorgeous. I love the upholstery on the dining chairs. The kitchen is lovely. I would like the rooms to be a bit more edited. It is pretty warm for a mansion though. I guess I’m just not a “more” is more kinda girl (unless it is carats of diamonds, LOL). i love the look of the house. i wouldn’t decorate it that way, but of course i’m not christie brinkley. 😉 it’s a super cool house though. beautiful. .-= maya | springtree road´s last blog ..Morsel (& a winner at the end) =-. Christies house is something else! Its very interesting structurally, but I think I would have to make the decision about the interiors once I was in it..like that would EVA happen, ha ha…It seems like its a bit overwhelming of “stuff” but its her home, so shes totally entitled to it. I, personally love the outside better than the inside..
.-= Lisa´s last blog ..my very favorite photo in the whole wide world. =-. Love her farm style table in the kitchen and the courtyard. Beautiful exterior too. .-= Becky @ Farmgirl Paints´s last blog ..And the winner is… =-. I’m wondering what the loft space is used for in the sixth photo. It almost looks like wine racks. Whatever it is, it’s stunning! .-= songbirdtiff´s last blog ..Price my Space- Accessories =-. Love Christie’s style….but what a lousy personal life huh ??? I think all 3 of her kids have different Dad’s ???? Love that great room and I think I have the same color in my dining room! Billy’s is decorated like a beach house. Christy’s is way too mixed up! Just too much stuff. Christie’s decor is just too “busy”. And, way too much stuff. That’s a great house even though I’m not a big fan of turrets on houses. I really like her style as well. .-= Amy´s last blog ..Saturday =-. What a gorgeous home! Have I seen that home in a movie? The photo from the outside looks so familiar! .-= Pam @ This Humble House´s last blog ..Cottage Sign Shoppe =-. WOW – that is like my dream home – no joke. I love all the decor – cozy and chic yet totally functional. LOVE IT! .-= Jocelyn Stott´s last blog ..Antique Appreciation =-. If I had 30Mil, that might very well be what I’d spend it on. I love that old house! .-= Nancy´s last blog ..Handy Manny (I mean Robert) =-. The house is great but love the barn in the backyard! .-= Hudson Goods´s last blog ..Just Paint It! =-. I actually like the back of this property more than the front (last picture). There’s something about the tower feature than doesn’t look right to me. Its like a beach home trying to be a castle. What a house… not to mention the property! I’ve always like Christy Brinkley’s homes and I believe she does much of the decorating herself (if my memories of long ago magazine features serve me right). That colorful, cluttered, collected over time look really pleases me. .-= Tracy´s last blog ..See, There is a Chair Under There! =-. Yep… it’s loaded with stuff, but I think that’s what adds to the charm of the house. Very eclectic! .-= Victoria @ DesignTies´s last blog ..Reinvented… Rewind Wednesday! =-. .-= kasey at thirftylittleblog´s last blog ..When does thrifty go too far? =-. Hmm, I like this one a lot, I think because it seems real, eclectic (as others have said) and not as if a designer just waved a wand and ‘did’ the whole thing. It’s still a bit on the large side for my liking, and overall I’d probably prefer to lose the turret, but I bet there were some fun and relaxed parties in this house. As always, I’d be happy to move into the little barn/shed/whatever in the last photo!! .-= Struggler´s last blog ..How many style sins are in your closet? =-. That last picture, the steps and the trees around the house is to die for! What a beautiful home. I’m always curious about how much living they do in some of these places! .-= Erin´s last blog ..A few more house photos =-. It reminds me of Rapunzel; I can just see her at the top of that tower. Beautiful home. I love,love, love this home….It reminds me of her new home decorating fabric she has out now. You can find it at JoAnn’s…..beautiful beach shades! You would love it! Thanks for sharing, I always wished it would have worked out with the Piano Man! .-= Suzy´s last blog ..Wordless Wednesday…. =-. .-= bungalowbliss´s last blog ..Bright Copper Kettles =-. OK, I commented on your other blog but must comment here too… the gardens! Divine!! .-= Emmie @ Aspirations of a Southern Housewife´s last blog ..Honeydew Hues =-. WOW… she has got A LOT going on in all those rooms!!! Nice and cozy… but WOW! .-= Fifi Flowers´s last blog ..Deux Musées à Paris… =-. .-= Susan´s last blog ..Welcome to the 52nd Tablescape Thursday! =-. .-= Porchlight Interiors´s last blog ..Happy House! =-. What’s with all the animal prints…personally they should take everything out of there and try to sell it…. .-= Janet Doherty´s last blog ..Hummingbird Rescue… =-. Fun to see how she decorated her home. It doesn’t look familiar even I thought I had seen the inside before. I bet her next house will look much different. She however seems to keep looking exactly the same! .-= Donna, The Decorated House´s last blog ..~ Paver Walkway, Curves Welcome! =-. Thanks for the tour of Christie’s house! I wonder how long it will take to sell it? Also, congratulations on your Sponsorship — that really is fabulous! You are the third blog this week that I read who has gotten a Sponsor! Must be in the water. I will be sure to check them out. .-= Pam Kersting´s last blog ..Tree Houses =-. Oh I’m sorry….nobody deserves to live in a house like that…..just for being a model? Can you hear the jealousy in my voice….the house is stunning!! .-= Sue´s last blog ..THE DIET GURU……..A Guest Blogger and a Thinner "Boss" =-. OMG I LOVE that house! it is also nice to know someone else has the same love of houses as I do! .-= traci´s last blog ..Houses in my neighborhood =-. I love her style here! All of these celeb house photos are super fun to see. .-= Lisa´s last blog ..Thanksgiving Table 2009 and the Kid’s Table too! =-. She has gorgeous properties in the Hamptons area. That is nothing short of gorgeous. Wow! she always shows great photos of the surrounding area of her home on her facebook page. Great photos of the ocean and what’s going on in her life. She really knew how to spend her money right. 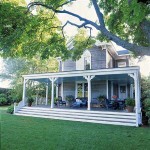 I would love nothing more than to live in The Hamptons. It’s stunning there. And to boot she’s doing everything she can to preserve the area and keep toxic waste away. So she is a great activist. Lovely home and the location is superb! Fabulous piece of archtecture inside and out. Incredibly well decorated as well.